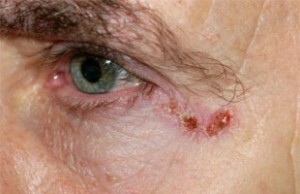 Eyelid and facial lesions (tumours/growths/lumps) are common in patients referred to oculoplastic surgeons. 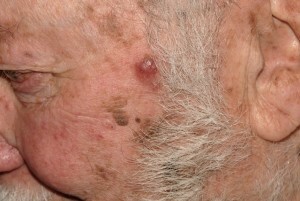 The main goal in the evaluation of these lesions is to differentiate malignant from benign lesions. 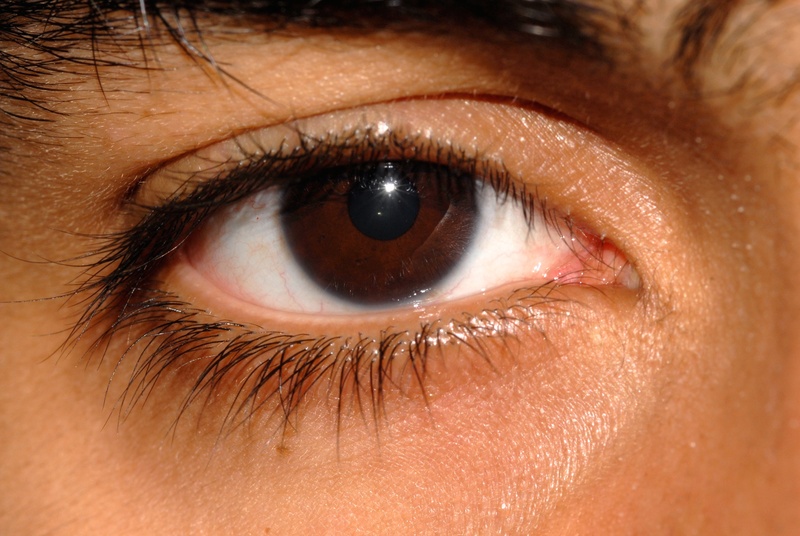 In general, the majority of malignant tumours affecting the eyelids and surrounding areas are slowly enlarging, destructive lesions that distort or frankly destroy eyelid anatomy. 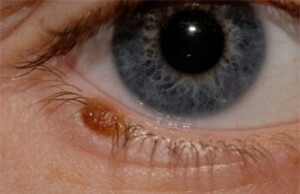 There are a number of subtle features that can help to differentiate malignant from benign eyelid tumours. In some cases, however, it can be extremely difficult to make the correct diagnosis of an eyelid lesion without a biopsy (the removal of a sample of tissue which is examined by a pathologist with a microscope). Early diagnosis can significantly reduce morbidity associated with malignant eyelid tumours. However, malignant eyelid tumours are diagnosed early only if a high degree of clinical suspicion is applied when examining all eyelid lesions. The appropriate management of malignant eyelid tumours requires a thorough understanding of their clinical characteristics and their pathologic behaviour. This is what an oculoplastic surgeon is trained to do. 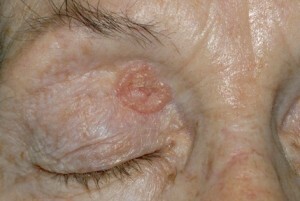 Many basal cell carcinomas of the eyelids and surrounding areas are treated with Mohs Micrographic Surgery. 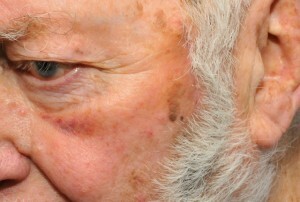 The postoperative appearance. The lesion proved to be benign. 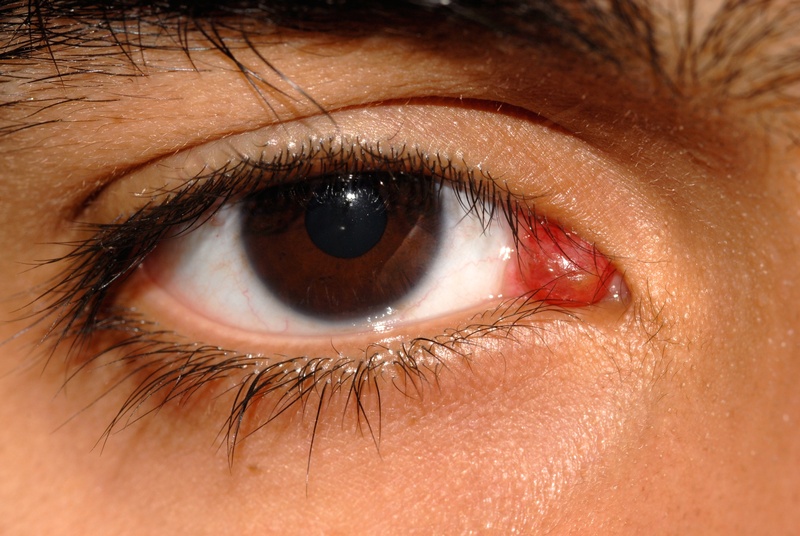 After this surgery, the eye is initially covered with a pressure dressing for approximately 24-48 hours to reduce postoperative swelling and the wounds are treated with antibiotic ointment. Activity is restricted for 2 weeks to prevent bleeding. 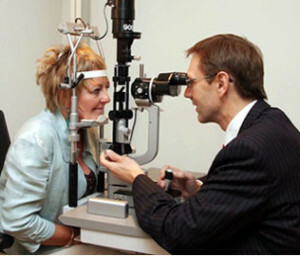 To learn more about Eyelid Tumours, please contact us at today to schedule an appointment.